Unified Wireless is a scalable wireless local area network solution, built for high density environments. In contrast to legacy wireless networks that provide access via independent wireless access points or routers, unified wireless make use of centralized control policies that allow network administrators to manage the configuration of all access points. 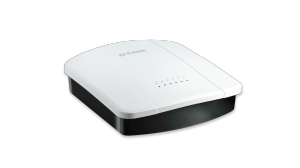 D-Link offers a wide range of robust Unified Access Points (APs) operating in both the 2.4GHz and 5GHz frequency bands, supporting the latest wireless standards including 802.11ac and 802.11n. 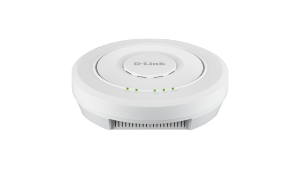 All D-Link Unified APs can be managed independently (standalone), or collectively by using a Unified switch/controller. Choose the AP form factor that’s right for your needs, including desktop, ceiling/wall mount with hidden internal antennas, or plenum-rated, for placement in air passageways. 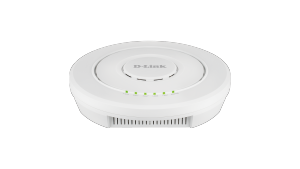 D-Link Unified Wireless Access Points are highly manageable and scalable with high data transmission speeds, optional support for PoE, and advanced security features. 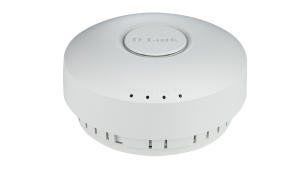 Up to 256 D-Link Unified Access Points can be deployed and managed easily and efficiently. Once the APs are discovered by the switch/controller, the administrator can push a specific set of configurations onto them, rather than having to do so one by one. In addition, RF resource management and security are also managed centrally, thus allowing the administrator to preemptively identify potential deficiencies and weaknesses in the network. 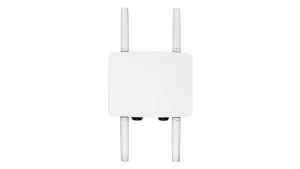 The DWL-6610AP provides unparalleled connectivity by using a 2 x 2 antenna implementation, allowing high combined data rates of 1167 Mbps1 (AC867 Mbps + N300 Mbps) over the air. Beamforming technology enables the DWL-6610AP to have even greater reach than its predecessor, allowing even more flexibility in any deployment scenario. 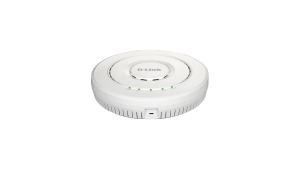 With the 802.11n/ac technology, the DWL-6610AP provides the high performance over two bands, so wireless clients can stream media faster and farther than before using existing devices.